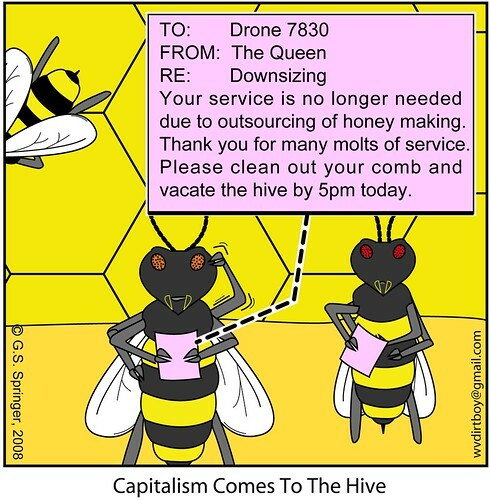 Bee Newz, originally uploaded by wvdirtboy (ilikegooglebetter). At approximately 10:30am this morning on a conference call (cup of coffee in hand), 13 people in my division were simulaneously told "Due to unforseen events in the market & other dynamics, [this company] can no long fund or support [your team]. Therefore, effective now, your positions terminated." That is the second time in less than 3 years that I have ended up on a severance plan. Last time I ended up with 14 months of severance after 17 years with the company; this time I got 10 months for only 2 years. Not bad, Not bad. So, what am I gonna do? My knight said, "Woman, will you sit down for a minute? Take the summer off and then, if you want to work, I got plenty of stuff for you to do with our companies. Everything is going to be fine." He is right, of course. I'm gonna work on those round2it items, be a full fledged lacrosse mom, go on all the field trips with Cara, do lunch with my friends & just hang. Whoo-Hoo extended summer vacation sounds great! You'll be relaxed and refreshed for the fall job search. Trying to make lemondrop martini's outta lemons! Wow! Can I play too?!? I know it's not bad news for you, given what you want to do with your life. Congrats, honey! When are you coming back up to Buffalo for a visit? But can you STAND not to work? Never a dull moment with the Diva! A nice summer vacay. Sounds good to me. I wished I had appreciated my 10 month "vacation." Same thing happened to Shannon last week. 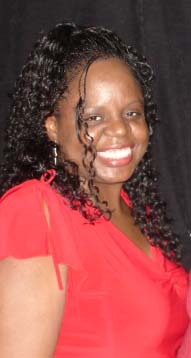 This was her first week completely on her own as a bidness woman. She would have preferred that I took care of her like your knight takes care of you, but no matter how hard I try to emulate him, I am no Ron Steptoe!!! Have a great summer and enjoy. Its their loss! !